"... a near perfect pairing ..."
"... has the easy, upbeat confidence of his early work. There are some fine songs here, from the bluesy, harmonica-backed ... to the stirring folk-gospel ..."
"... a low key, easy rolling set that feels as if it’s all happening on your front porch ... an alluring, attractive pairing ... sumptuous harmonies ... let’s hope this is just the beginning of a fruitful musical relationship." "... introduces the songwriters as a proper folk duo. It's a collaboration rooted in years of mutual appreciation ... You're Right (I'm Wrong) mixes baritone guitar, blue notes, harmonica and harmonies into a swampy, sickly-sweet swirl. Colvin and Earle sing every last syllable together, with Colvin's voice sweetening Earle's rough rasp. The two pack plenty of heat ..."
Grammy-winning artists Shawn Colvin and Steve Earle team up for their first album together, three decades after they first met when Colvin opened for Earle. They became fast friends, collaborating occasionally over the years until finally teaming up for a sold-out joint tour in 2014 that saw the duo uniting for one-of-a-kind evenings of song-swapping, duets and storytelling. The shows were so exceptional that Earle immediately proposed they record an entire album together in the spirit of the tour. Their all-star backing band includes guitarist Richard Bennett (Neil Diamond, Mark Knopfler) who played on Earle’s seminal 1986 debut Guitar Town, drummer Fred Eltringham (Willie Nelson, Kacey Musgraves) and bassist Chris Wood of Medeski Martin & Wood, along with Grammy-winning producer Buddy Miller (Patty Griffin, Robert Plant, Lucinda Williams) at the helm as producer and baritone guitarist. Colvin, Earle and Miller led the combo through a week-and-a-half-long session that possesses all the spontaneity and magic of the duo’s live acoustic shows while also fleshing out the arrangements with alternating moments of subtle grace and raucous grit. 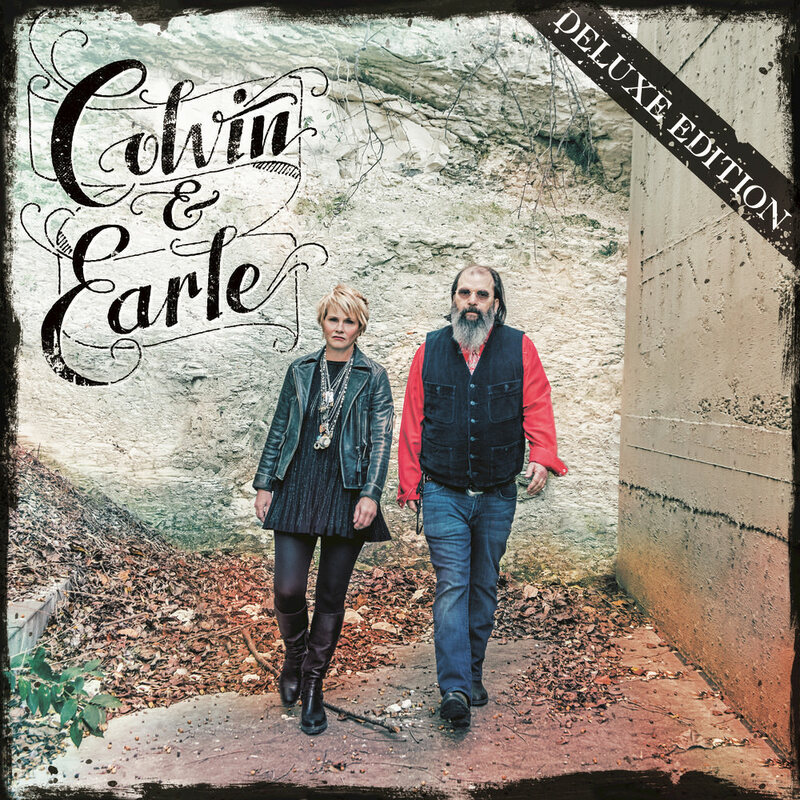 A truly collaborative creative partnership, both Colvin and Earle each contributed verses, melodies, choruses and chord progressions to these songs, the perfect vehicles for their sterling harmonies and infinite writing gifts. This deluxe edition includes three bonus tracks. Tracks 1-13 – contains material which utilizes a limited amount of the available bandwidth.